It’s never too early to get children interested in science. 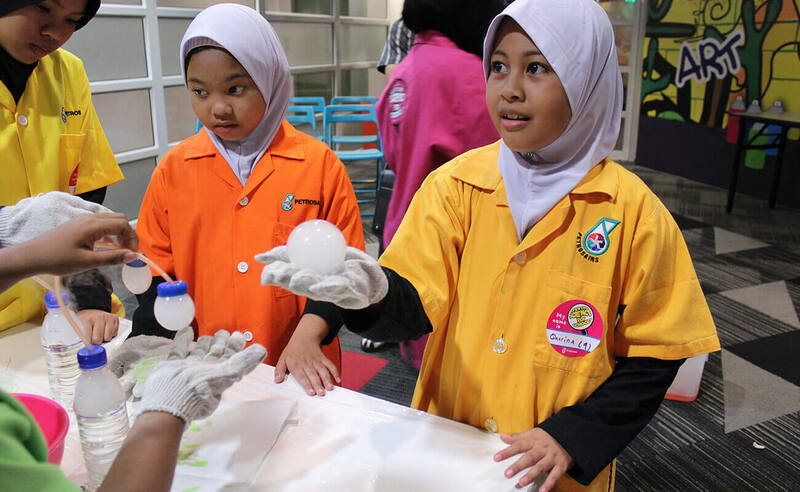 At Petrosains, we’ve designed a host of programmes suitable for kids aged 4 to 9 – perfect for a fun and enlightening day out for any curious pre-schooler. The magic of magnets, unveiled through intriguing hands-on experiments. What’s in a leaf? A fun natural exploration – plus, make and take home your very own T-shirt! Can you guess the animals based on its tracks? Who knew footprints could be so exciting! Dive into the captivating world of colours and create your own awesome colour chart. Move to the sound of percussion instruments, or better yet, make your own! 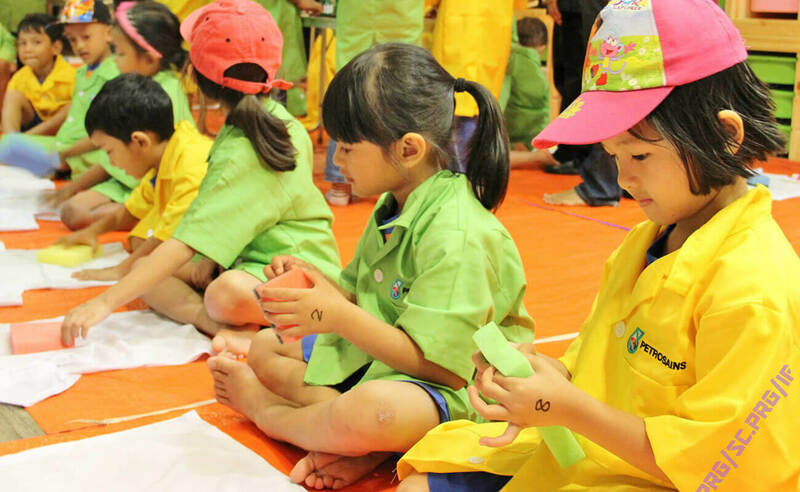 Let the little ones learn by participating in real-life activities and experiments. Even educators and parents may end up picking up something new! 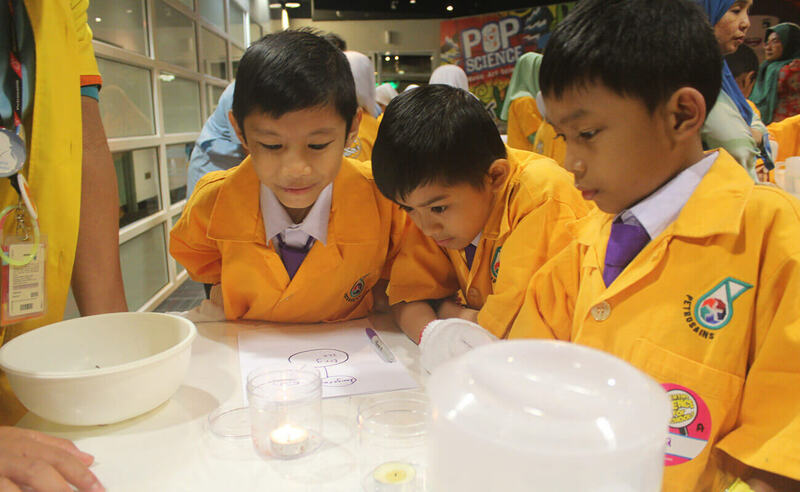 There are some things you can’t learn in a classroom – which is why at Petrosains, we’ve created a host of eye-opening activities to get primary students out of the classroom, and into discovery. Discover the wonders of steam and figure out how to use it to move your very own boat. Don’t stay in the dark – make an electric circuit work to light up your night lamp! What’s a serial and parallel circuit, and what can you do with it? Prepare for an electrifying time! Who doesn’t love ice-cream? Learn the science behind it – and yes, you can eat what you make! In space, no one can hear you scream – in happiness. Explore the solar system in our specially-designed lab. 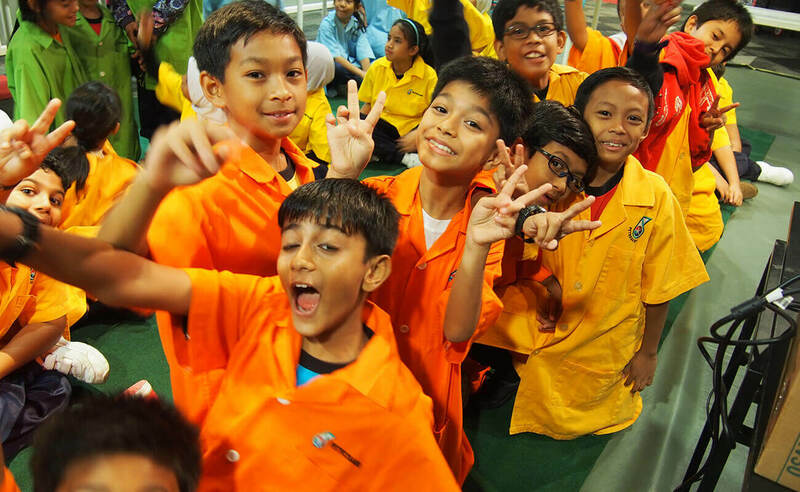 Primary school students need the right stimulation to get them interested in learning – and a Petrosains field trip is bound to leave them begging for more. Plan a trip now! Secondary school students think they’ve seen it all – so show them that they actually haven’t seen anything yet. 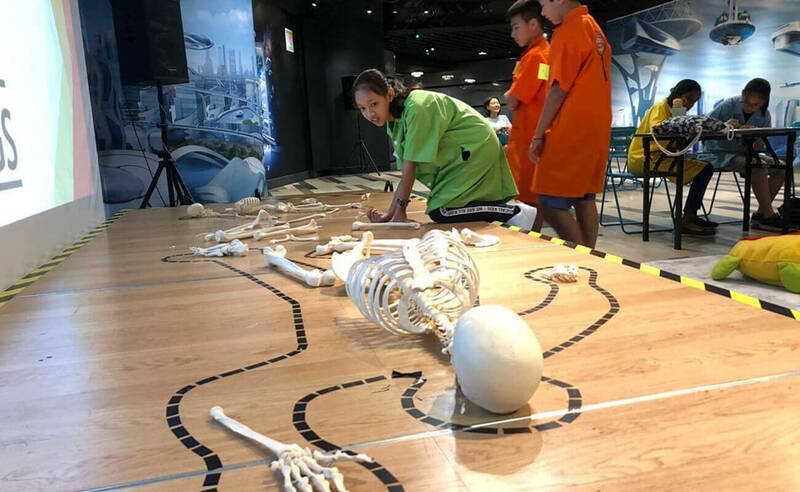 At Petrosains, we’ve created mind-blowing experiments and experiences that will make even the most know-it-all teenager sit up and take notice. The heat is on; design a boat and make it move through the power of steam. Art and science collide with electrifying results as students test their knowledge of circuitry to bring a constellation-project device to life. So you think you can make ice-cream? Try doing it without a freezer. Plus, we dare you to eat everything you create! Can your catapult rule them all? Learn how to create this medieval war machine and watch it wreak havoc in a series of challenges! Think you know ionic and covalent bonding? 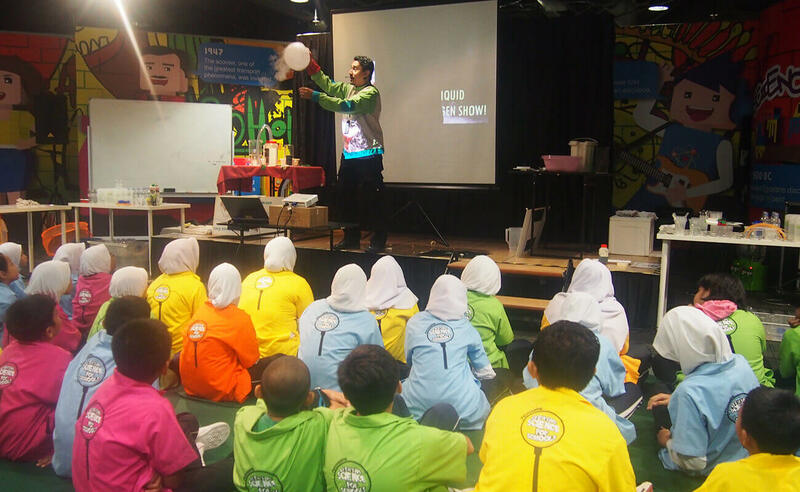 Put your knowledge to the test by identifying compounds through experimentation. Equalising chemical equations is harder than you think – but also simpler than you can imagine once you know how. 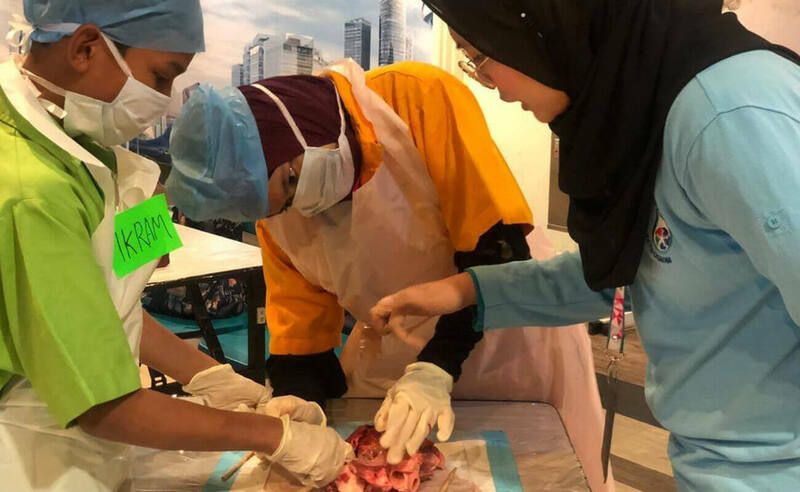 Fancy dissecting a cow’s heart? 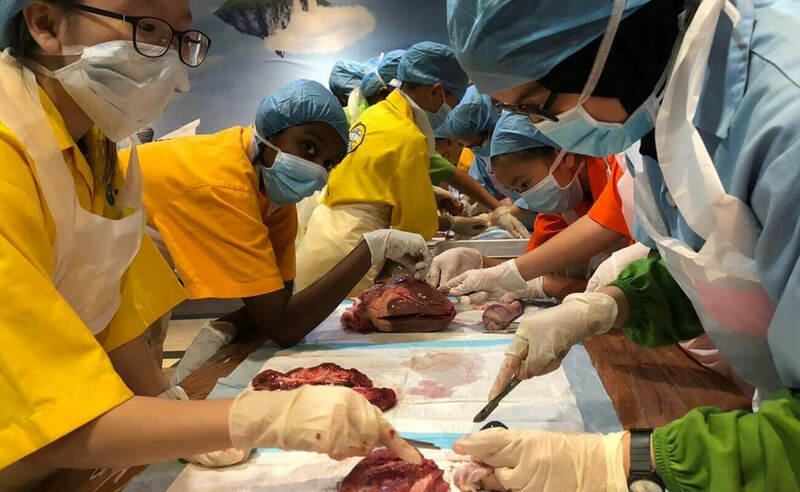 We’re not joking; you get to do it in this workshop to understand exactly how a heart works. It’s not for the faint-hearted. Build your own electrical circuit and see if you have the co-ordination – and steady hands – to pass the circuit challenge. Keep secondary students interested with activities that trigger their competitiveness, ignite their enthusiasm, and reinforce their passions. 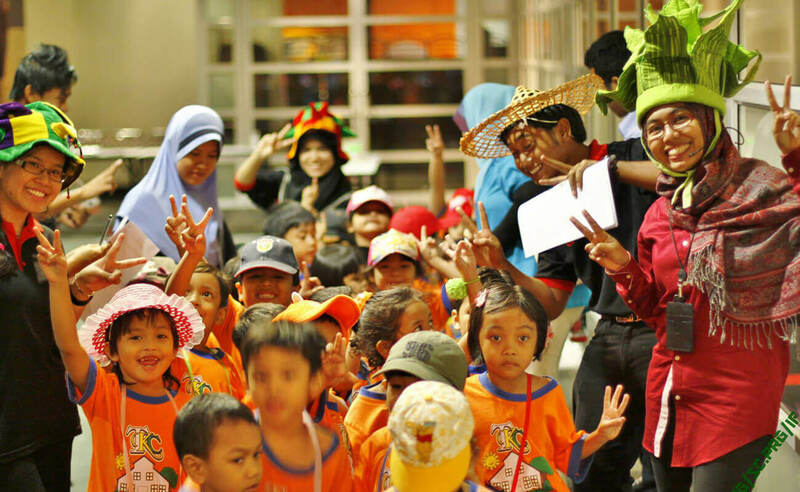 Give them some real-world, hands-on experiences to round off their learning today. Science or space, create or code – we’ve got tonnes of exciting workshops and activities to help you bring science to life at the Maker Studio! Come learn about the origin of constellations and their significance! Watch a simulation of the night sky inside our portable planetarium. Then, learn about basic electrical circuits and soldering skills by joining our hands-on workshop to build your own constellation using LEDs. A simple and fun workshop that helps you develop your coding skills by using an interactive Micro:Bit board. Join us to experience building your very own quad copter! Learn about the basics of flying a drone and the physics behind it. Learn how to code by using the Arduino board and electronic parts. Let’s enhance your learning & innovation skills through coding! Expand your creativity and imagination by sewing an LED necklace using ‘Lilypad’ through coding in this exciting and enjoyable workshop. This two-day programme will test your coding, pitching and creativity skills as you build physical prototypes in line with the provided theme. Which planets can you see in the night sky? With our Celestron telescopes, you will be able to view Jupiter, Mars, Venus, and even the Moon up close! Look at the craters on the lunar surface, or gaze at the beauty of the planets! Have you ever wanted to explore the universe? Then come discover the night sky inside our portable planetarium. Sit back and relax as we take you on a journey to the stars.